I have been doing some research looking both at National and Regional reports on the demand and supply of property and people, together with future projections on the economy, population and family demographics with some interesting findings. According to the Office of National Statistics, in the last financial year national private renting grew by 74,000 households, whilst the owner occupied dwelling stock increased by 101,000 and social housing increased by 12,000 dwellings. It was the private rental figures that caught my eye. With eight or nine years of recovery since the Credit Crunch, economic recovery and continuing low interest rates have done little to setback the mounting need for rented housing. In fact, with house price inflation pushing upwards much quicker than wage growth, owning a home for Millennials is even more out of reach, all at a time when the number of council/social homes has shrunk by just over 2.5% since 2003, making more households move into private renting. There are 19,110 people living in 8,232 privately rented properties in Worthing. In the next nine years, looking at the future population growth statistics for the Worthing area and making careful and moderate calculations of what proportion of those extra people due to live in Worthing will rent as opposed to buy, in the next ten years, 8,190 people (adults and children combined) will require a private rented property to live in. Therefore, the number of Private Rented homes in Worthing will need to rise by 4030 households over the next nine years. That`s 448 additional properties in Worthing per year that will need to be bought by Worthing landlords, for the next nine years to meet that demand. I think I am being conservative with those calculations because demand for privately rented homes in Worthing could still rise more abruptly than I have predicted. So, one must ask wonder if it was wise to introduce a buy to let stamp duty surcharge of 3% and reduce mortgage tax relief to hold back the ability of private landlords to expand their portfolios? Well a lot of landlords are taking on these new hurdles to buy to let and working smarter. Buying the property at the right price and using an agent to negotiate on your behalf (we can do this if you want). 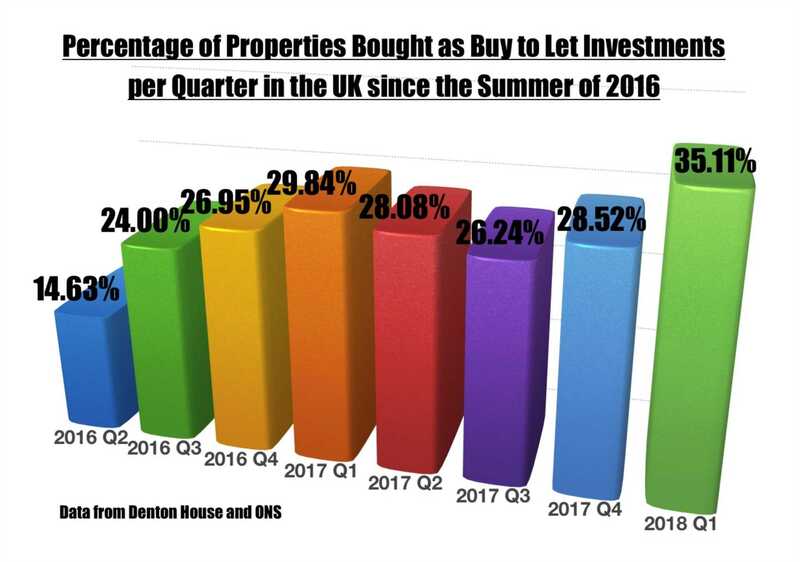 Incorporating your property portfolio into a Limited Company is also a way to circumnavigate the issues of mortgage tax relief (although there are other hurdles that need to be navigated on that tack), but just look at the growth of proportion of Buy to Let properties in the Country since the Summer of 2016. Something tells me smart Landlords are seeing these challenges as just that - challenges which can be overcome by working smarter. I have a steady stream of Worthing landlords every week asking me my opinion on the future of the Worthing property market and their individual future strategy. Whether you are a landlord of mine or not, if you ever want to send me an email or pop into my office to chat on how you could navigate these new Buy to Let waters it would be good to speak to you.